Tort claims that involve spinal cord injuries (SCIs) tend to result in fairly sizable settlements. Because SCIs can cause permanent paralysis, those who sustain such injuries may be entitled to compensation for a lifetime of medical care, lost income, and other damages. Medical Expenses: Any costs associated with diagnosing and treating the spinal cord injury may be recoverable. This includes past expenses like ambulance fees, hospital bills, and office copays, as well as future expenses like the cost of anticipated surgeries. It also includes all necessary medical equipment, prescription medication, and home care services, as well as any ongoing care such as physical therapy. Lost Income and Benefits: People who are recovering from a spinal cord injury are very likely to miss a considerable amount of work. Fortunately, lost wages can be included in the claim. Additionally, those who are unable to return to work at all may be entitled to compensation for lost benefits and loss of future earning capacity. Other Objectively Verifiable Damages: Even after reaching maximum medical improvement, you might need help with child care, housekeeping, errands, and transportation. If your mobility is limited, you may also have to modify your home and/or vehicle, which certainly won’t be cheap. But if another party is liable for your injury, you can include all these damages in your claim. 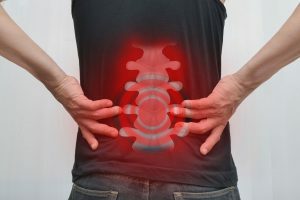 Property Damage: Some of the most common causes of spinal cord injuries are likely to result in significant property damage. For example, motor-vehicle collisions are responsible for a considerable number of new SCIs every year. Pain and Suffering: Accident victims who are recovering from serious injuries can pursue compensation for their pain and suffering. Although quantifying non-economic damages like pain and suffering poses certain challenges, they often account for a considerable portion of personal injury settlements—especially in spinal cord injury cases. Punitive Damages: Although most personal injury claimants are not entitled to a punitive award, there are scenarios in which the defendant will be ordered to pay more than just compensatory damages. In the state of New York, punitive damages might be warranted if the defendant’s actions constituted maliciousness, willful negligence, wanton recklessness, fraud, a high degree of immorality, or a conscious disregard for the safety, rights, or health of others. If you or someone in your family sustained a spinal cord injury because of another party’s negligence or intentional wrongdoing, contact Charnas Law Firm. Attorney Scott Charnas is proud to represent accident victims throughout both New York and Massachusetts. Scott has an AV-Preeminent rating from Martindale Hubbell and has recovered nearly $50 million for victims of personal injury and wrongful death. 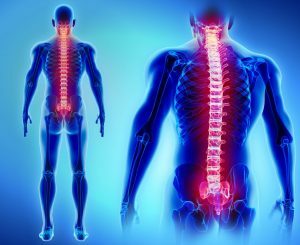 Call 212-980-6800 or fill out our Online Contact Form to schedule a free case evaluation with a spinal cord injury lawyer in New York City.